I love that phrase. It usually escapes from a new client, when we are touring another client’s just-finished renovation. Sometimes we’re admiring an exquisitely crafted stair railing or mantelpiece. 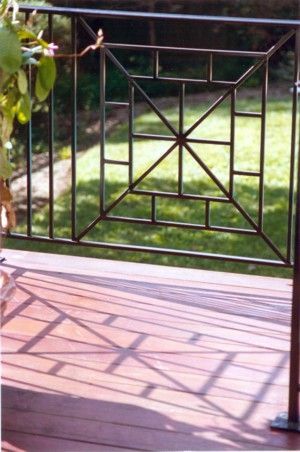 Or it might be a lovely paneled portal or a fabulous cast iron grille. My personal favorite was a pocket-screen-door, that disappeared into the wall, next to a front door. In each case, my new client pauses and looks wistfully at some such detail and observes “They don’t build them like that anymore.” It’s the sort of detail that they don’t expect to find in today’s construction… except we’ve just built it! That’s one of the most satisfying moments for me. I’m always so proud of our carpenters and architects, for refusing to give in to the myth that true craftsmanship is not achievable today; there’s simply no reason why that should be so. Instead, I’d argue that given the enormous technological advances of our time, homeowners should expect new renovations and additions to be both designed and constructed better than an older home.